To some people the R33 series seemed a bit oversized and most of them considered the R32 to be the best Skyline ever. So Nissan changed its approach when the new R34 series was due. 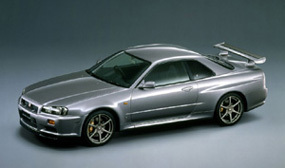 The R34 line-up was oriented more towards the R32 series than towards its direct predecessor, to result in a car that was even sportier than the R33 series. 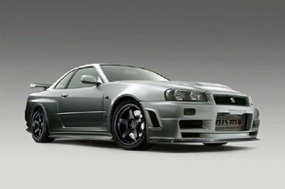 The R34 GT-R was introduced in January 1999 and bettered its predecessor's performance in almost every department. Since Nissan's market research had found out that most people preferred the smaller R32's nimbleness to the larger R33's handling, the R34's length was reduced by three inches to decrease its exterior dimensions and tune the R34's handling more towards that of the R32. Sharing most of its technology and the RB26DETT engine with its predecessors, the R34 GT-R features a host of technical improvements. Based on the R34 Nissan Skyline GT-R, the NISMO Skyline GT-R Z-Tune is a special edition limited to 20 units that marked the pinnacle of the NISMO GT-R lineup. The spiritual successor to the legendary R33-based NISMO 400R, the R34 NISMO GT-R Z-Tune celebrated NISMO's continued success in GT racing with racing-derived parts and a modified engine producing 500 hp. 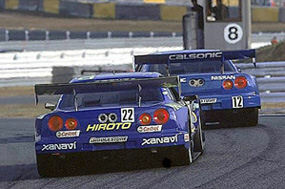 Nissan entered the 2001 JGTC season with three R34 Skyline GT-R race cars in the hopes of improving on the previous season's vice-titles in the driver- and constructor-championships. An exciting season followed that was decided in the last race and featured several championship-leaders. After a difficult start for the Skyline teams, it appeared that Nissan had already lost any chances to win a championship by mid-season, but in the end, team NISMO took the constructor's title in a close finale.